Artist and illustrator Stefani Burchfield (left) has been involved with The Arts Center since moving to Athens in 2016. She has given Y-CAP students the opportunity to work with pen, pencil and brushes to create classic, manga and comic book-style ink drawings. Last fall, the Athens Area Council for the Arts (AACA) was given the unique opportunity to partner with the YMCA Community Action Program (Y-CAP) for 12 weeks of after-school programming. As I was new to my role as program coordinator at AACA, I didn’t fully appreciate how special this collaboration would become; I just knew it sounded like a fun partnership. When Debbie Crews, YMCA’s director of Outreach Programs, approached me with the idea for us to partner with her students, I was excited about the chance to bring art activities to a community that might not otherwise get this experience. According to Ms. Crews, Y-CAP is an intervention and prevention program for at-risk youth ages 10-14 who are referred through the juvenile court system or the school system. Ms. Crews said, “We provide the students a safe, secure place to be after school where they get to connect to positive mentors and positive programming. The Y-CAP program provides the students time to work on homework and improve their reading skills, as well as be active and utilize the YMCA facilities. Three of AACA’s respected instructors responded with an enthusiastic “yes” when asked to share their time and talents with these students. These teachers have each taught multiple sessions since January and classes will continue through April. Tracy Gartmann, a trained HealthRhythms facilitator, led students in an interactive Drum Circle, which is a multi-faceted program designed to facilitate health and wellness. This type of workshop is research-based and has been shown to boost immunity and improve the mood. I am grateful that the Y-CAP students had this opportunity to be stretched, perhaps out of their comfort zone just a bit, to work together to learn a new skill. Andy Phipps received a Bachelors of Fine Arts (BFA) in ceramics and sculpture from Northern Arizona University. He works as an artist and craftsman creating sculptural and functional pieces from various materials, as well as teaches adults and younger students in several cities across East Tennessee. Andy has been leading the Y-CAP community in several classes of clay hand building. Phipps is looking forward to creating stained glass art with the class in the coming weeks. Stefani Burchfield is a professional artist and illustrator with a BFA from Troy University in Troy, Ala. She is passionate about working within her community and has been involved with The Arts Center since moving to Athens in 2016. Stefani has given the Y-CAP students the opportunity to work with pen, pencil and brushes to create classic, manga and comic book-style ink drawings. One of the students called the ink splatter lesson “satisfying.” I noticed that one young man was continuing to work on his drawing long after his peers had left the room for another activity. In addition to the Arts Center, some of the local agencies that Y-CAP partners with to provide programs for their students are UT Extension, Full Circle, McMinn County Health Department and Centerstone Counseling. The way Ms. Crews and her team of leaders encourage and motivate their students is impressive. I am always learning from AACA’s instructors and am so thankful that we were given the chance to partner with this wonderful program! Tracy, Andy, and Stefani have done a beautiful job teaching and bringing their expertise to these students in a positive and encouraging manner. It is my hope that each person in this program not only learned new skills for expressing and appreciating the arts, but also had some fun while they were at it. 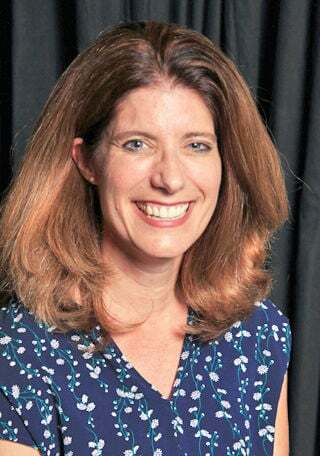 Lauren Trew is Program Coordinator for Athens Area Council for the Arts.